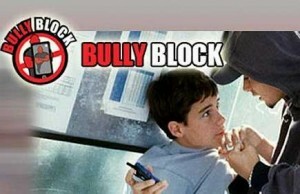 Bully Block blocks unwanted text messages and phone calls on Android phones and devices. An auto-responder can send a message asking that all communications cease, or … a “Bully Capture” mode can record the bully who is sending that unwanted message. A log is kept of all text and email harassments, which is certainly helpful if you want to document the calls for the police or your lawyer. Price is $1.29.